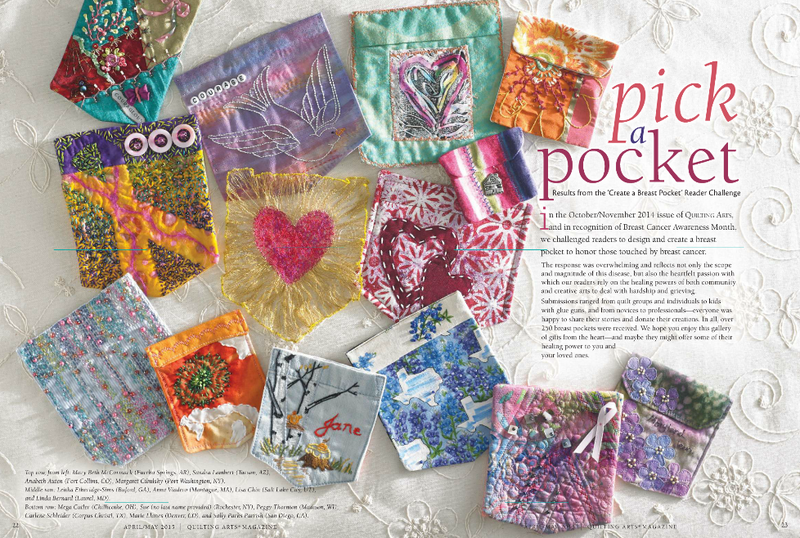 One of my breast pockets was published in Quilting Arts Magazine. I'm thrilled to share the pages with so many talented makers. There were about 250 pockets entered in to the challenge. So glad they had so many submit entries! They are all so beautiful! Congratulations, I haven't got my copy yet.